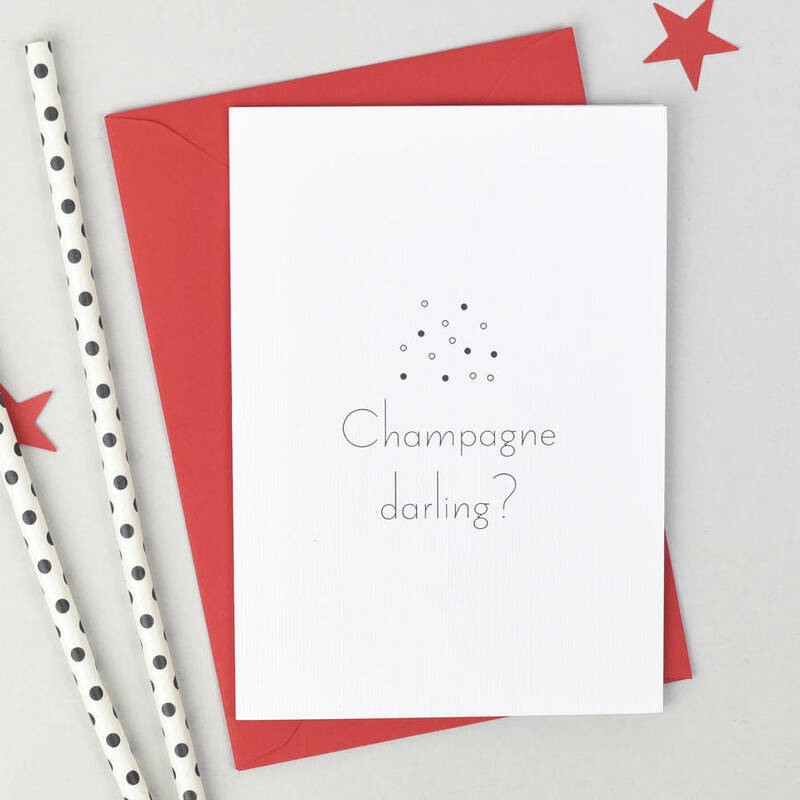 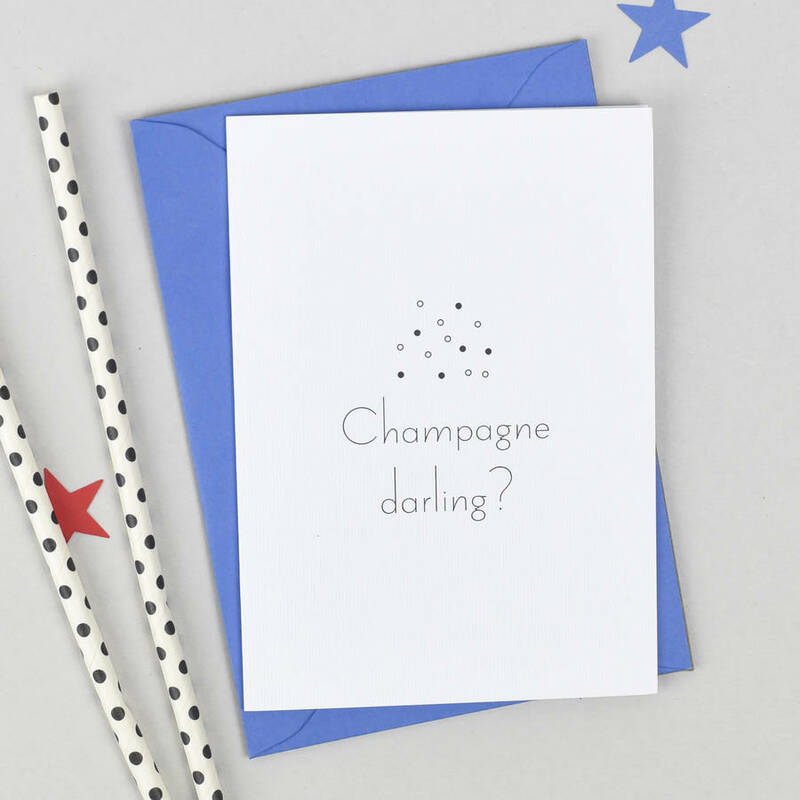 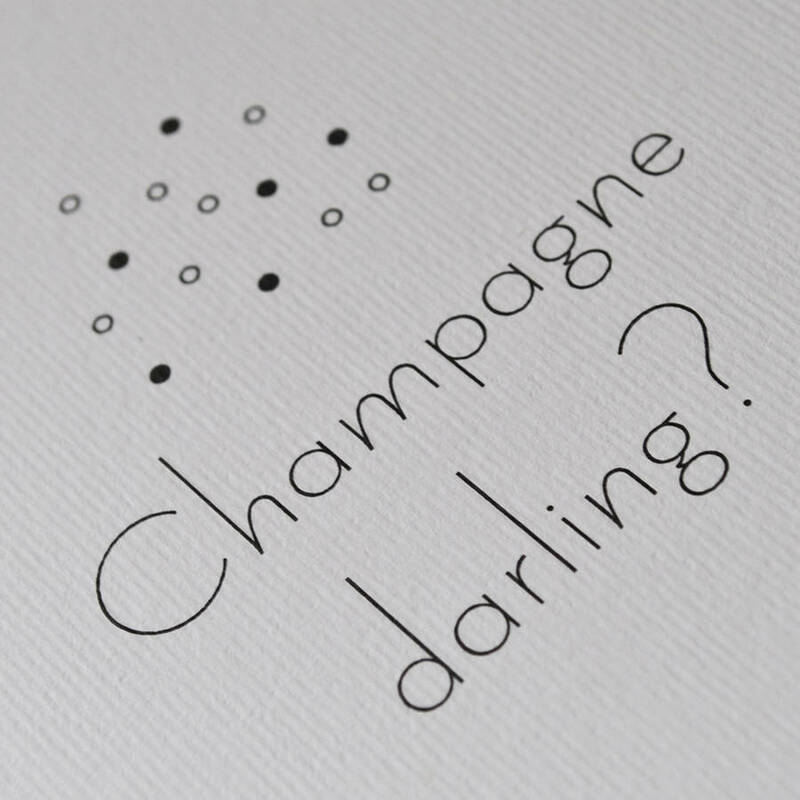 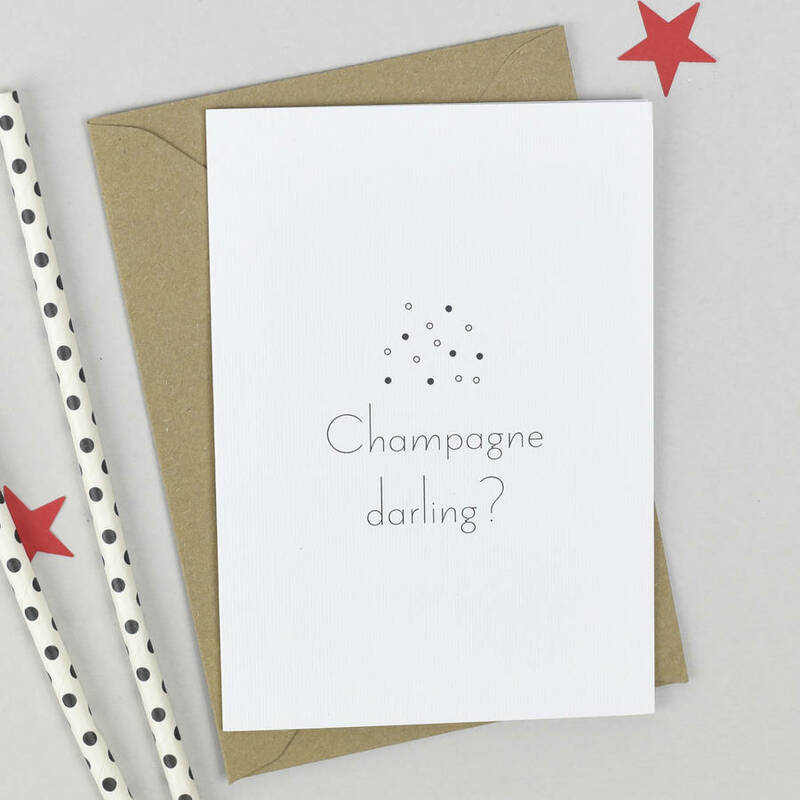 A perfect card for saying congratulations, or any excuse to drink fizz! 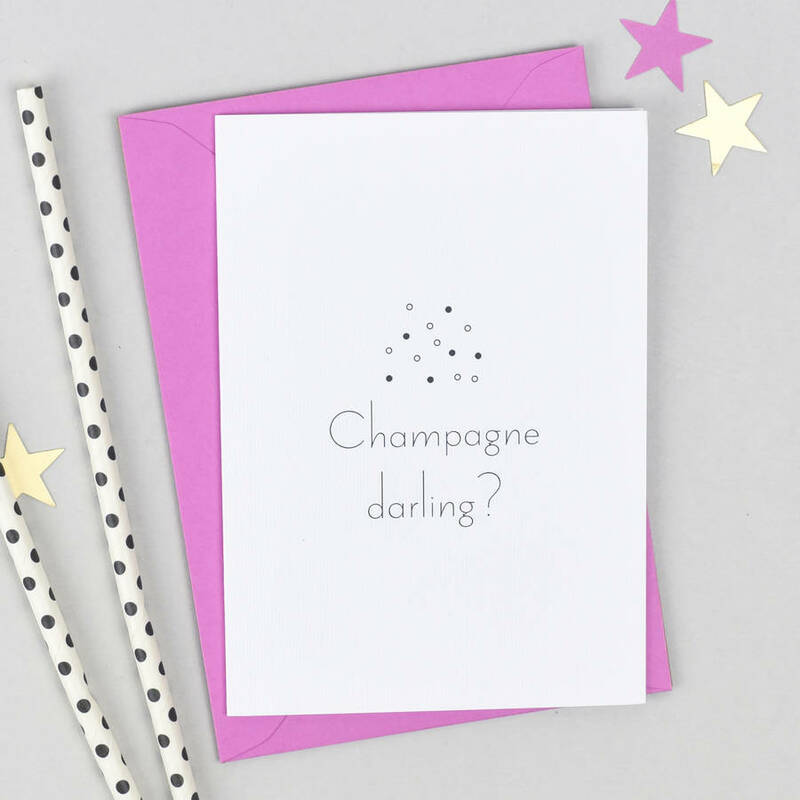 Our cards are simple and unfussy and perfect for anyone celebrating an event. 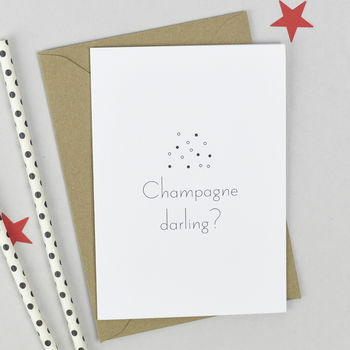 Each card comes with a 100gsm C6 kraft brown envelope and packaged in a cellophane wrapper. 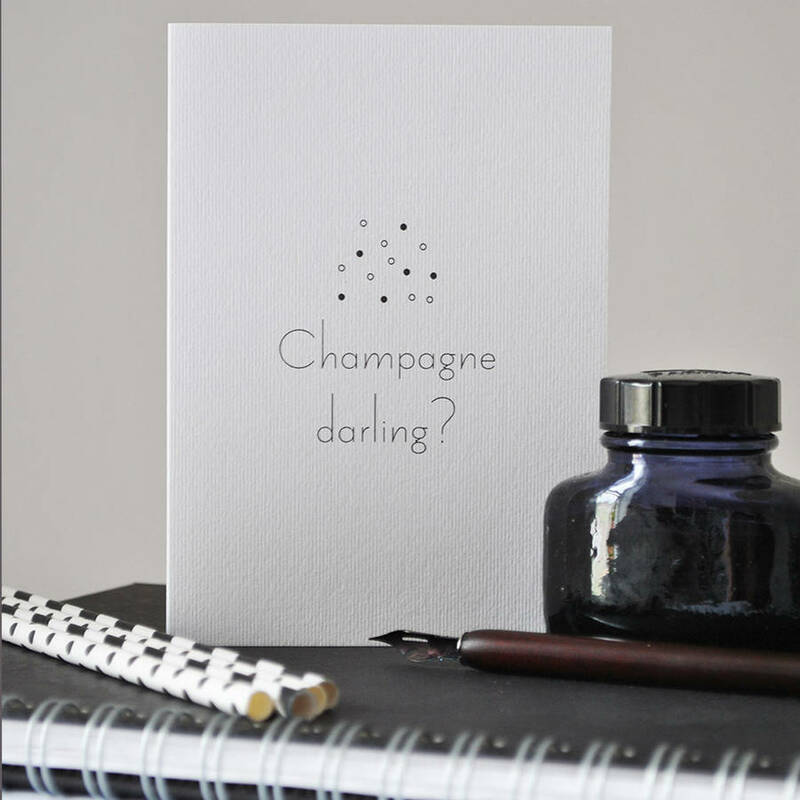 Printed in the UK on a clean and crisp 280gsm card stock with a soft lined texture.